For understanding, What is Sharepoint? 2. Logic resides in .Net Assemblies. 3. Data resides in SQL Server Database. 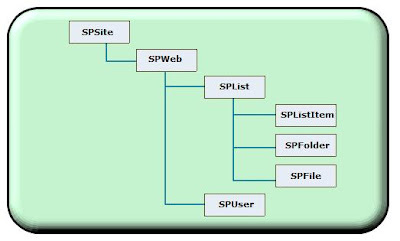 Sharepoint is installed at "C:\Program Files\Common Files\Microsoft Shared\web server extensions\12", this root is popularly know as "12 Hive". You can find all resources related to sharepoint application here, which are prime focus to Developers. Step by Step understanding of creating MOSS 2007 Virtual PC Image. Problem while Upgarding Vista Home Premium: Compatibility Check shows Uninstall Sharepoint Services. ﻿I was trying to upgrade my laptop (Vista Home Premium) to Vista Ultimate Edition. After running through the compatibility check, it said I needed to uninstall Sharepoint Services. The problem is, It doesn't appear in the Add/Remove Programs list. The only mention I was able to find of Sharepoint services was under Office. It had Sharepoint Services Support installed. Uninstalling that didn't help, though. Delete the folder under 'Program Files' whose name starting with "STS". Essentially, that folder contained the install for 'Windows SharePoint Services 2.0' and the Vista installer, seeing that, thought you had the program installed. Now start Installing Windows Vista again, and it should now pass through compatibility check and allow you to upgarde vista to business, ultimate or whatever version you want to. Sharepoint Forums from Microsoft MSDN. Sharepoint Forum from Microsoft MVP. Ask all your Queries related to Sharepoint Development and Programming.